Author: Greenwald, Glenn Set In . . . Description: What will be the legacy of President George Walker Bush? In this fascinating, timely book, Glenn Greenwald examines the Bush presidency and its long-term effect on the nation. What began on shaky, uncertain ground and was bolstered and propelled by tragedy, has ultimately faltered and failed on the back of the dichotomous worldview—good versus evil—that once served it so well. 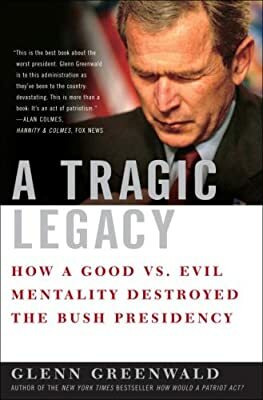 In A Tragic Legacy, Greenwald charts the rise and steep fall of the current administration, dissecting the rhetoric and revealing the faulty ideals upon which George W. Bush built his policies.